Co-founder of Fast Company magazine and bestselling author who helps organizations navigate disruptive change. Bill Taylor has encouraged a generation of executives and company-builders to muster the courage and skills to think differently about change, leadership, and the new world of work. A spirited and hard-charging entrepreneur, Bill co-founded Fast Company, easily the most influential voice on business and innovation in the last two decades. The publication changed the very idea of what a business magazine could be. Since the publication’s sale for $340 million, Bill has spent his career writing and speaking to audiences around the world. Bill is also the author of three bestselling books, Simply Brilliant, Practically Radical and Mavericks at Work. Bill has devoted his career to challenging conventional wisdom and showcasing the power of business at its best. so uncertain? In short, how do you unleash long-lasting, positive change in turbulent, fast-moving times? 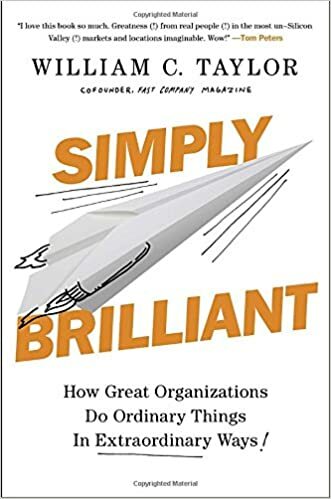 originality and utility—provocative thinking that energizes their colleagues, a roll-up-the-sleeves approach to work and culture that shapes how everyone shares ideas and solves problems. Put simply, the best leaders are the most insatiable learners and the most effective communicators. In this keynote, Bill Taylor offers hands-on thinking gleaned from the most extraordinary leaders he’s studied over the last 25 years. do bigger and bigger things. In this keynote targeted to entrepreneurs, small-business leaders, and franchise owners and operators, Bill Taylor offers lessons from some of the world’s most successful company-builders. evaluating, organizing, and retaining talent. What is the true cost of playing it safe?